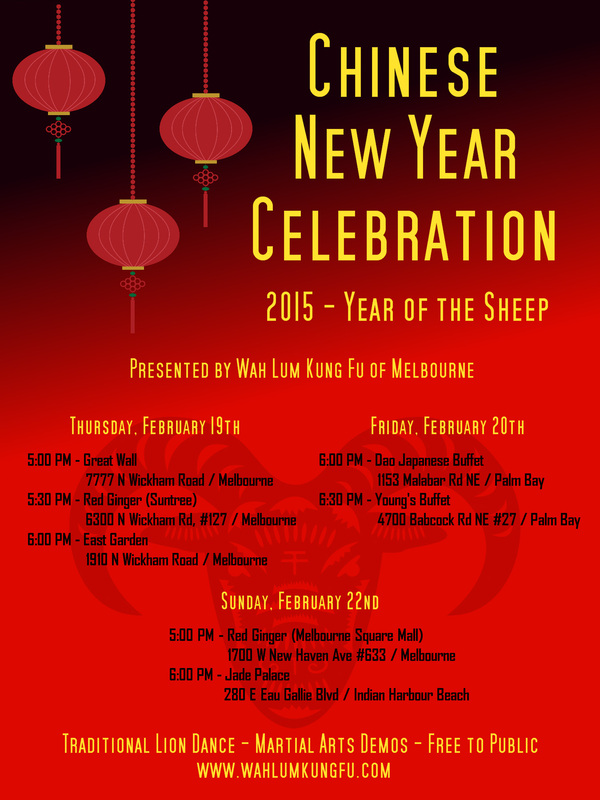 This is the schedule for the 2015 Chinese New Year shows. Please come out and support! © Copyright 2012-2014 Wah Lum Kung Fu & Tai Chi of Melbourne. All Rights Reserved.